Takeaway: Steps to build a safety culture. The term “safety culture” was coined in 1988, and used to report on the post-accident review of the Chernobyl incident created by INSAG. Safety culture includes the ways in which safety issues are addressed in the workplace. Safety culture includes attitudes, beliefs, perceptions, and values that employees regarding safety. Most importantly, it involves the way a business does things to ensure the safety of its employees, the general public and the workplace structure. The Occupational Safety and Health Administration (OSHA) found through independent research that developing a safety culture has the greatest impact on reducing incidents of injury, illness, or death in the workplace. For this reason, developing a safety culture should be the number one priority for companies. Incidents like the World Trade Center and events of 9/11, Three Mile Island, and Chernobyl have taught us the importance of safety culture. The impact concerning human, physical, financial and emotional tolls demonstrates the dangers of not having safety culture in place. According to the Occupational Safety and Health Administration (OSHA), each day in the USA over a dozen workers die at their workplace. That amounts to more than 4500 worker lives lost annually in the USA alone. An additional 4 million (plus) sustain work-related illnesses and injuries. The costs in human life, worker disabilities, and productivity are too high. Implement a “safe at work” initiative. This is a strategy to build a safety culture and prevent injuries in the workplace. Hire a trained consultant whose job is to offer intervention to “at risk” employees to improve their workplace. Examples might include: ergonomic seating, mobility devices, ramps instead of stairs, safety labels on dangerous substances, first aid centers in each department. Educate and nurture every employee to take an active role in safety culture. Make sure every person knows his safety responsibilities. Provide written material and information in-service. Include policies, goals and future plans for the safety culture. Know and share the company’s safety vision. Ensure everyone knows what it is and buys into the goals and objectives for the company’s safety culture. Be sure everyone knows his own accountability: the safety culture should hold everyone accountable. Be visibly involved—especially if you are the owner, CEO, manager or one of the supervisors. You are a leader for a positive change in safety culture. Ensure employees know how to report a safety concern. Give them multiple ways to do this. Make sure employees are aware of the chain of command whereby the onus is on their supervisors to respond to safety concerns. Teach employees how to report issues of safety and how to do it accurately. This should include injuries and near misses that could well be injuries if left unreported. Have a clear and transparent way of investigating incident reports that gets to the cause of the incident. Have an evaluation committee that includes members from all levels and departments. Build a level of trust in the culture of change process. Give everyone a job that makes the whole workforce co-operate to achieve a culture of safe working procedures. Have a mechanism for reporting issues and concerns; but, just as importantly, safety success stories. This might include: a newsletter, a digital message board, Facebook, and/or Twitter. Celebrate safety successes with lunches, receptions, or special nights. Model support for safety culture in everything you say and do. Be an enthusiastic supporter of workplace safety. Management needs to “walk the talk”. 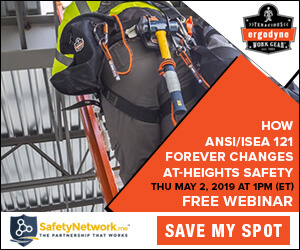 By moving about the workplace, commending safe practices and pointing out where unsafe practices need to change and how, management and owners show a transparent concern for safety culture. Remember, as with all changes, safety culture takes time. Be patient but steadfast in being encouraging and positive about each step toward a safety culture. For more on how to create a safety culture, check out Workplace Safety Culture 101. Safety culture takes time and money. Thus, all stakeholders must be invested in making it work. Communication is crucial. When employees do not receive information and rationale for safety measures, it is unlikely that they will follow them. It is easy to fall into a climate of scapegoating and blaming that makes people reluctant to go out on a limb. It is easier—and less trouble—to go with the flow even when the measures and procedures being used are not safe. Wherever human behavior is involved, matters get less definite, more prone to individualization, and less likely to be carried out explicitly. Incentives for certain behaviors can be successful. However, they can also have a negative effect on safety measures. For example, a program that rewards the business, the employees, or the department for injury-free days may discourage employees from reporting issues. Unreported issues can result in future injuries from something that would have been corrected if it had been reported. For more on the benefits of creating a safety culture, check out Why Creating a Safety Culture Is Better Than Relying on Compliance.